Hawaiian food seems as if it were designed specially for kids. I remember going to Maui for the first time as a young lad, and discovering that there’s really a fruit shaped like a star. I knew all about pineapples and coconuts, but starfruit!? My mind was blown. Hawaii had fruit that I’d never even dreamed existed. They’ve got guavas, passion fruit, papayas, and mangos. They’ve got mini bananas (apple bananas) that taste so much better than the ones back at home that I finished a whole bunch in one sitting. Beyond the fruit, I remember dozens of fruit-flavored specialties that to this day conjure fond memories. Not that I enjoy them as much, now that my taste has changed, but I still have the sweet memory of those tastes. So, as I dig through the warm, fuzzy patches of nostalgia buried in my mind I recall my young love affair with the food of Hawaii. Oh baby! No discussion of the food in Hawaii is complete without the glorious breakfast buffet. Because nothing excites kids more than the freedom to choose anything they want for breakfast. 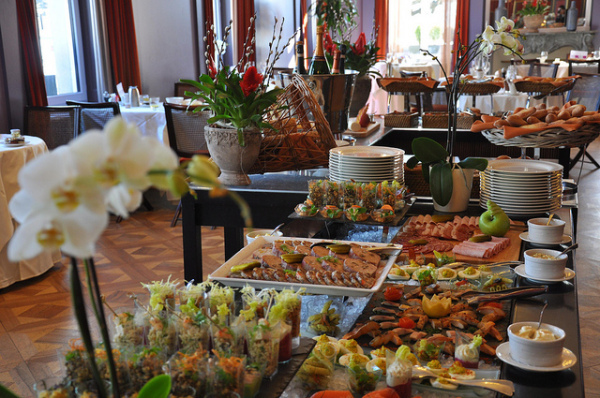 Many of the big resorts have quite a spread of more types of breakfast food than I had ever seen in one place. Bacon, waffles, an omelet station, and sometimes a Japanese breakfast section with miso soup. What I remember most though was slathering a ladleful of coconut syrup on macadamia nut pancakes. Yes, coconut flavored syrup. It makes for one heck of a flapjack! Remember this acronym because it’s the best juice you’ll ever taste: POG (pineapple, orange, and guava). Well, it’s not my favorite juice anymore, but I must admit that my enthusiasm for juice isn’t what it used to be. 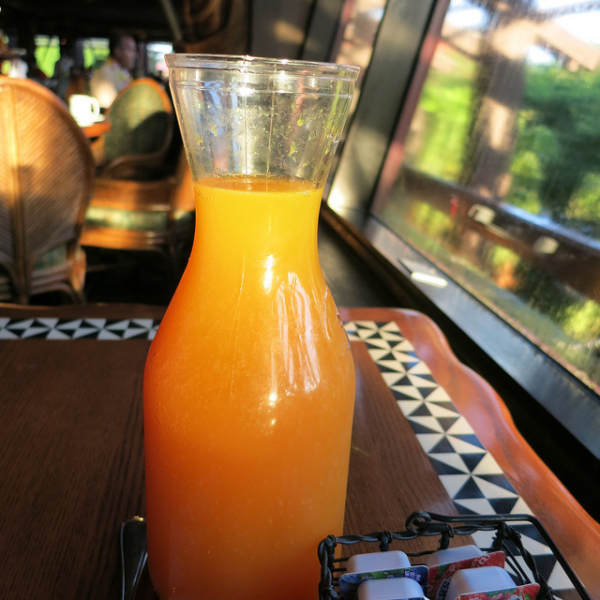 It seems obvious to me now, but the radical combination of pineapple, orange, and guava is the holy trinity of liquefied fruit. Simply put, to kids this stuff is the nectar of the gods. Perfect with breakfast, great for lunch, and a wonderful pairing with dinner. Most restaurants in Hawaii that cater to tourists serve smoothies in at least five different flavors. And by at least, I mean some have upwards of 10. The best part of any Maui meal was when I got to customize my own smoothie creation. My favorites had some combination of strawberry, coconut, and pineapple – basically a virgin Lava Flow. But sometimes I went crazy with mango and raspberry. 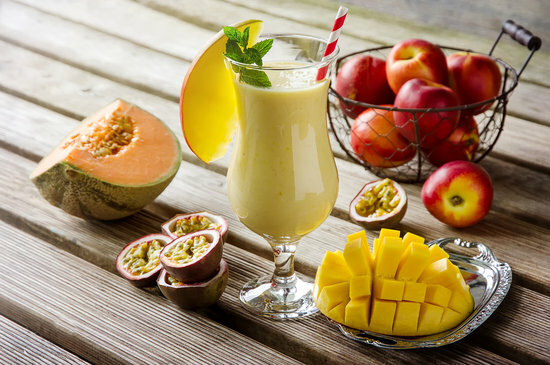 These smoothies can be expensive, like $4-5, and I confess, most places use a liquid mix rather than actual fruit to make what they label as “fruit smoothie.” You shouldn’t consider these a healthy alternative to a milkshake or an every meal kind of thing, but make sure that your kids get to try at least a few. Because, like me, they’ll probably remember them. 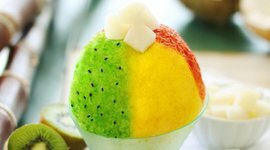 Shave ice is made by literally shaving razor-thin slices off a block of ice, until they crumble apart into the fine consistency of powdered snow. 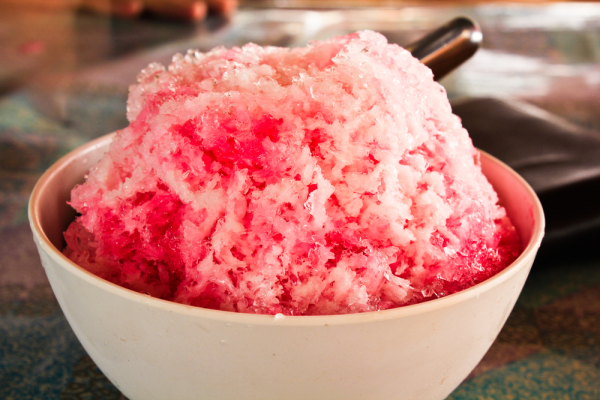 Shave ice is so soft that kids can eat it with a spoon and won’t get a brain freeze. It’s lumpy and all the flavoring is well mixed throughout, not concentrated on the bottom. For the real deal, you have to order it with the extras – a drizzle of sweetened condensed milk on top and a scoop of vanilla ice cream on the bottom. For the highest rated shave ice on Maui, check out Ululani’s in Lahaina and Kihei, Wailuku and Kahului. Please note that because this place is quite popular, the lines can be very long. The quaint upcountry town of Makawao is about a 45-minute drive from most of the major Maui resorts. Set in the foothills of the 10,023-ft Mt Haleakala, this artist town is home to Komoda Bakery. 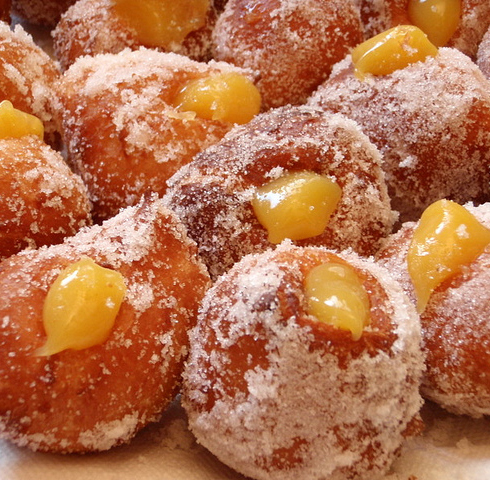 Here you’ll find the Malasada, a Portuguese-style donut filled with guava jam. They also have donuts on a stick covered in macadamia nuts, cream puffs, coconut turnovers, and the long john, which is a bar-shaped éclair. Komoda is a great place to stop if you’re on your way to zip lining, horseback riding or taking a tour of Maui’s upcountry. Make sure to get here before 11 am because most of the good stuff will be sold out by noon. They have very irregular hours, so I'd recommend calling ahead (808) 572-7261 to make sure they're open. You can even have them set something aside for you. Let’s take a detour to the savory side of kid-friendly food in Hawaii. I’m actually getting a bit of a sugar rush just writing this. 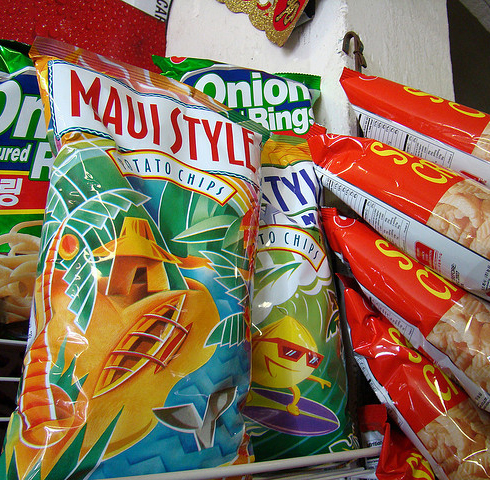 As a kid, lunch in Hawaii was usually a sandwich followed by a small bag of Maui Style Potato Chips. These chips have an unforgettable touch of sweet Maui onion. Since the bags are usually small, kids will devour them fast, without getting too full. You can actually visit the Maui Potato Chip Factory . 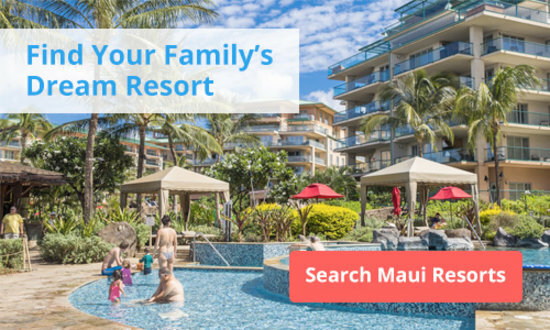 It’s located near the airport so it makes a good first and last stop on a Maui vacation. I loved fish before I could crawl. However, I know that a lot of kids find any food that swims to be disgusting. 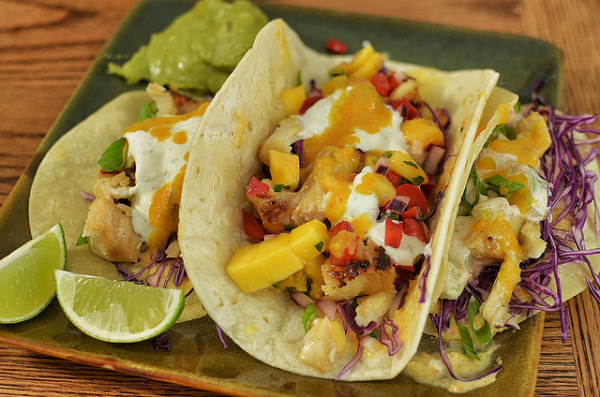 But, I must say that out of all the fish you could eat, a fresh caught piece of mahi mahi is by far the least fishy, most accessible introduction to seafood you could ask for. I’d recommend getting it encrusted in macadamia nuts, covered in mayo on a fish burger or battered and deep fried in a taco. You’re probably wondering that after all this sugar and salt, what happened to my whole talk about how Hawaii will make kids eat nothing but fruit. To put it simply, the food in Hawaii food has two things going for it. It has enough sweets to keep the kids entertained, and enough exciting fruit to make them want more when they come home. I definitely went searching for those mini bananas when I returned to the mainland. 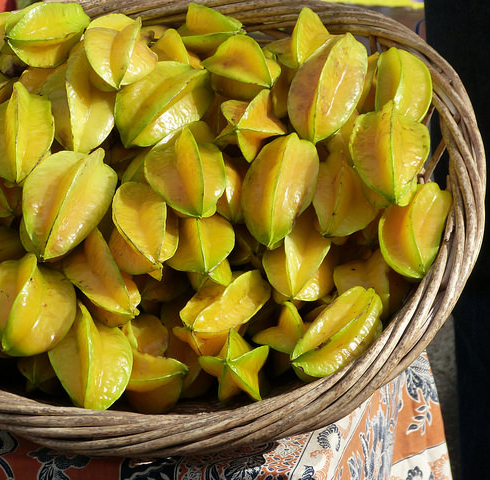 Plus, many of the deserts are fruit based, so they subtly ingrain a craving for the real thing. As I close out this trip down memory lane, I’ll leave you with this. To a kid, the exotic sweets of Hawaii are out of this world. In fact, my personal experience with the food in Hawaii was so memorable that decades later, and after dozens of changes in what I like to eat, I can still taste it clearly on the tip of tongue. Ululani's is one of the best spots to grab shave ice on Maui. Get it with ice cream on the bottom and sweetened condensed milk drizzled on top! 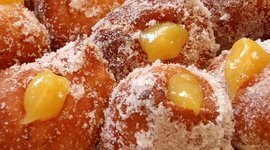 These coveted donuts come with exotic tropical fillings, like guava jam. Located in Upcountry, it's a great place to pick up a treat as reward for summiting Haleakala. When you're a kid, a small bag of Maui-style potato chips goes fast. 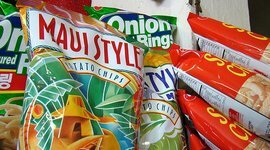 Stop by the Maui Potato Chip Factory to see where they're made. 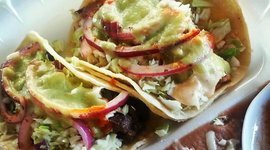 Their battered, fried Mahi-Mahi taco is one of the tastiest on the island. Bet you can't eat just one!